Image: the view from the entrance of the Schulerloch into the Altmühl valley. Location: A9 exit Denkendorf or A93 exit Hausen, at the Deutsche Ferienstraße Alpen-Ostsee (German Holiday route), in Oberau between Kehlheim and Essing in the Altmühl valley. 4km from Kehlheim, 22km SW Regensburg. From the parking lot 15-20 min walk, about 50m uphill. Open: Easter Holidays to APR daily 10-16, last tour 16. MAY to mid-SEP daily 10-17, last tour 17. Mid-SEP to Fall Holidays daily 10-16, last tour 16. Fee: Adults EUR 5.50, Children (4-15) EUR 4. Groups (20+): Adults EUR 5, Children (4-15) EUR 3.50. Dimension: L=420m, BR: AR=793m², T=9°C. 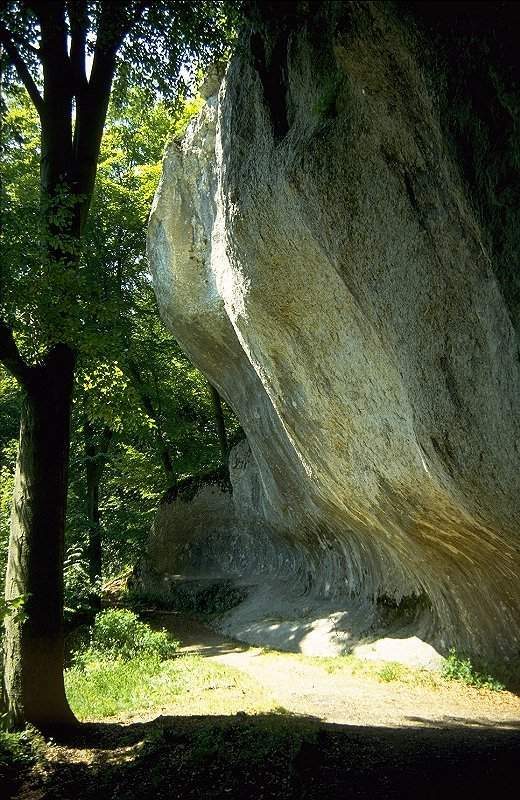 Accessibility: Partly: the cave is horizontal and has no steps, but the only way to the cave is a walking trail and there is a staircase to the cave entrance. Bibliography: Anonymous (oJ): Tropfsteinhöhle Schulerloch im Altmühltal. Image: the building above the entrance to the Schulerloch. 1782 first description of the cave in the Bayerische Akademie der Wissenschaften (Bavarian Academy of Science). 1793 discovered by Adrian von Riedl and named Riedlshöhle. 1825 bought by Regierungsrat Anton Schmauss. 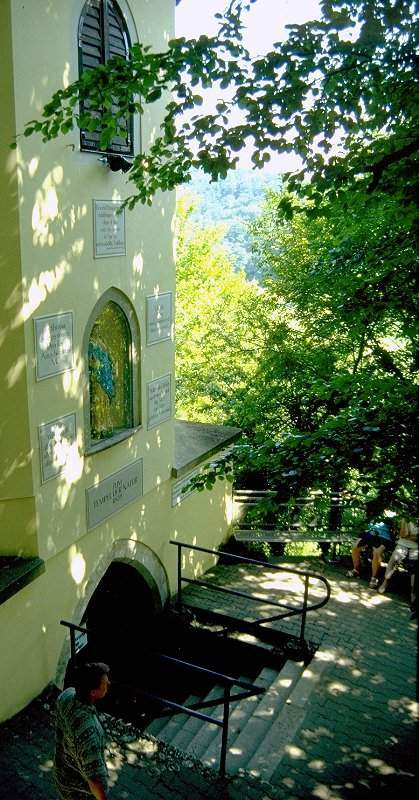 1826-1928 developed and opened to the public by Schmauss, building above the cave entrance errected. 1828 torches used as light source. 1915 archaeological excavations by Prof. Birkner. The Schulerloch is of palaeontological interest. It was the shelter for Neanderthal man during the middle paleolithic. The humans used only the front part of the cave, but in the rear part the remains of numerous animals of the Würm Ice Age. 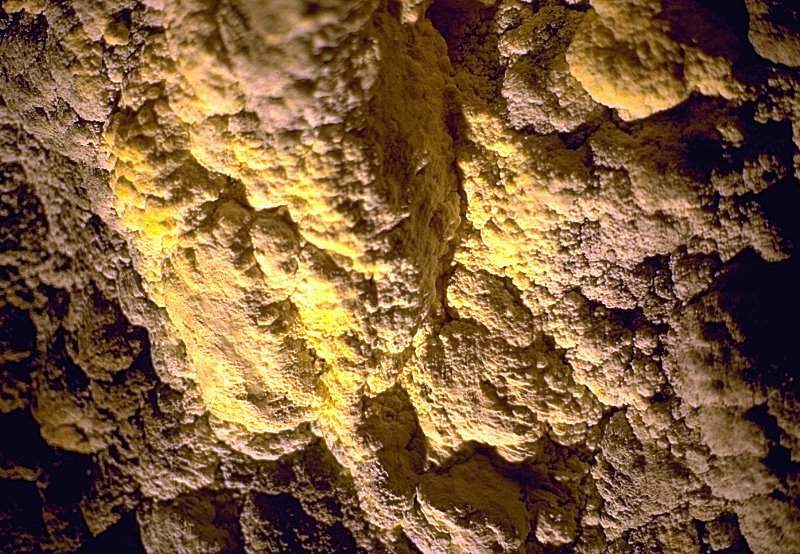 In early bronze age, the cave was inhabited by humans again. But then the entrance was walled up, the reason is unknown. The cave was forgotten until the middle ages, when it was rediscovered. The man who developed the cave, Anton von Schmauß, was freemason. He placed the inscriptions above the entrance, and a statue of Goddess Isis, the Goddess of Nature. He also built a pavilion above the entrance, suitable for living, and a second one nearby, which hosts a museum today. This small museum shows some exhibits about the cave, the Altmühl valley and the Rhein-Main-Donau-Kanal (Rhine-Danube-Canal). The Schulerloch is called dripstone cave in German. But this name is not very exact, as the speleothems in this cave are composed of moonmilk. Moonmilk is a white, opaque aragonite mineral. It covers big areas on walls and ceiling. But regular dripstone, stalagmites and stalagtite composed of calcite, are very rare. An exception are two beautiful rimstone pools at the end of the cave. But this lack on common speleothems gives the cave a special character. The cave is formed in corall reef limestones of the Jurassic. This limestone has no layers and so the chambers are of irregular shape. The complex structure of the arched ceiling give the cave a special accoustics. An extraordinary Didgeridoo during my cave tour was a real impressive experience. The cave is said to be 1.5 Million years old. 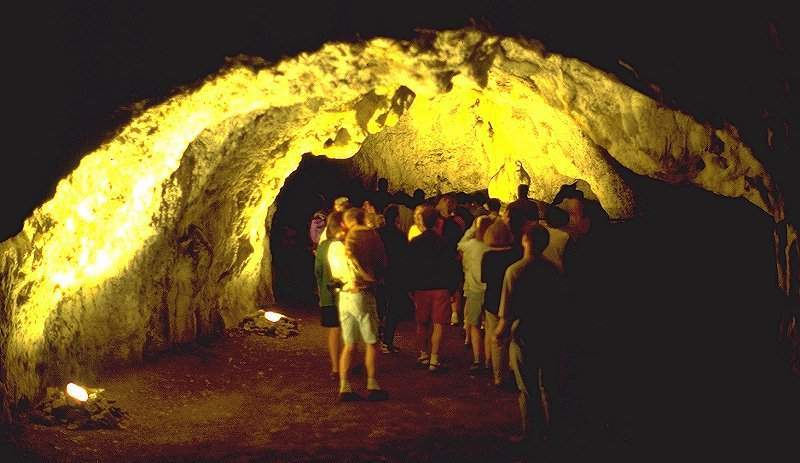 At this time the Altmühl-Donau was 55 m higher than today andwas the drainage of the cave. The Altmühl-Danube was a combination of todays rivers, as the danube used this part of the Almühl valley at this time. The cave was formed during a period of stagnancy in the cutting in of the river. The the river restarted to cut in, the Danube changed its bed and the Altmühl continued to cut until 200,000 years BP. 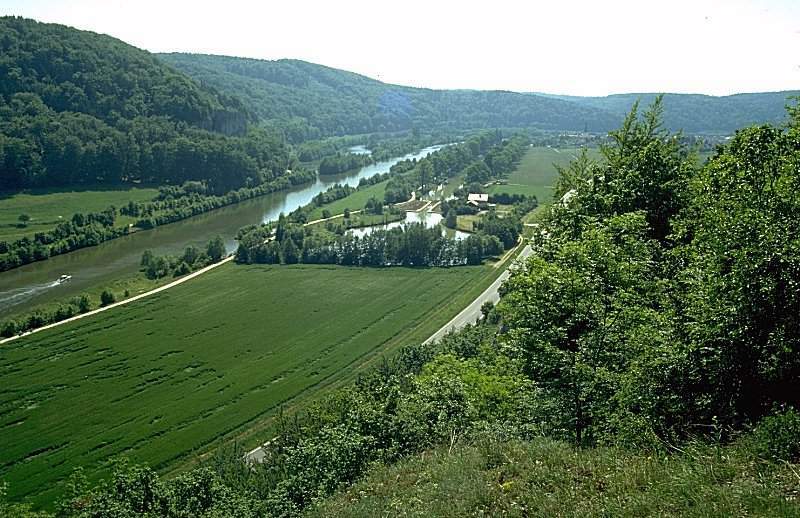 The Danube formed the famous canyon of Weltenburg, which is nearby. 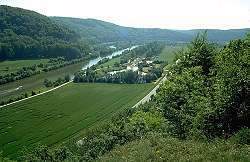 The connection between Danube and Altmühl is today called Dry Valley of Wellheim. Image: a nearby shelter, which is called abri in German, after the French word for shelter. The Schulerloch is often called Großes Schulerloch (Big Schilerloch), because there is also a small Schulerlcoh, the Kleines Schulerloch. This small cave is not open to the public, and contains an engraving showing a hind or an ibex. It was discovered in 1937 by the two local historians A. Oberneder and O. Rieger. The engraving has a certain similarity to paleolithic engravings in French and Spanish caves. Prof. Birkner, Dr. Wagner and Prof. Obermaier called it the first ice age engraving in Germany. But Prof. Zotz from Erlangen wasmuch more sceptic, and because of the minimal weathering he thought it was a fake. The actual state of scientific research dates the engraving to the late Magdalénien, 10,000 BC. But this is not proffed by geophysical methods, its just based on an analysis of stile and technique. A proof of its age is at the moment not possible. A replica of the engraving is on display in the small museum near the cave entrance, mentioned above. Search Google for "Großes Schulerloch"